A tough day for the Bucs, as last seasons second round pick defensive end Da’Quan Bowers is likely done for the year, as he suffered a torn Achilles’ tendon during the team’s off-season workout program. Bowers will require surgery to repair the injury, which could happen as early as Friday. 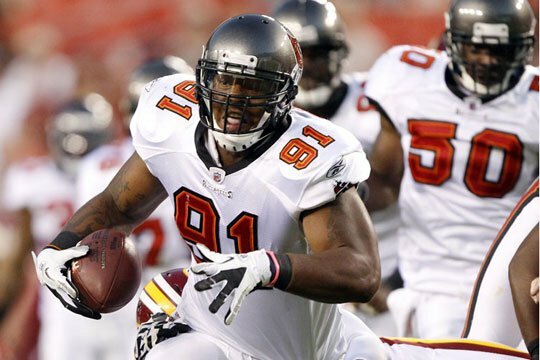 A potential first round pick in the 2011 NFL Draft, concerns about a right knee injury caused Bowers to slide to the second round, where the Buccaneers selected him with the 51st overall pick in the draft. Bowers did not miss a game in 2011, starting six of 16 games and totaling 25 tackles and 1.5 sacks while playing in 47 percent of the team’s defensive snaps. Depending on the severity of the tear, Bowers could return this season, though he’ll certainly begin the year on the physically unable to perform list. Bowers’ $550,256 base salary in 2012 is fully guaranteed. 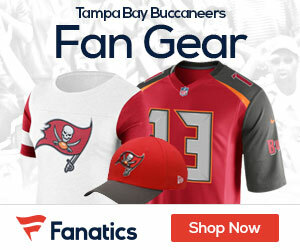 Without Bowers, the Buccaneers will look for increased production from Michael Bennett, George Johnson and Daniel Te’o-Nesheim, though they could look outside the organization for pass rush help.